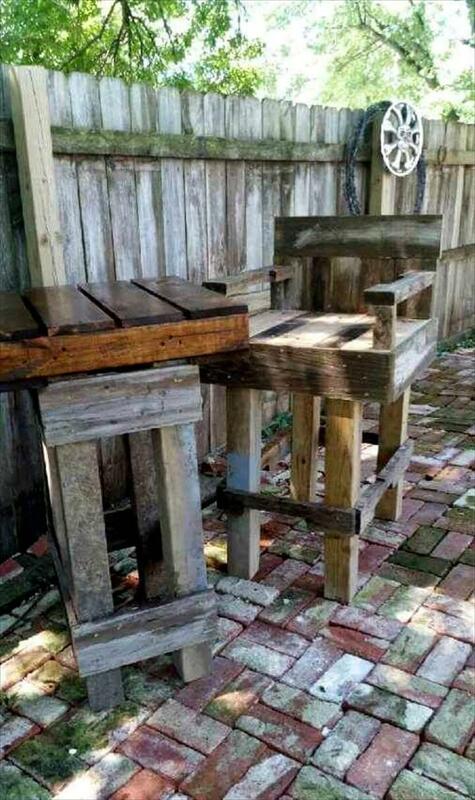 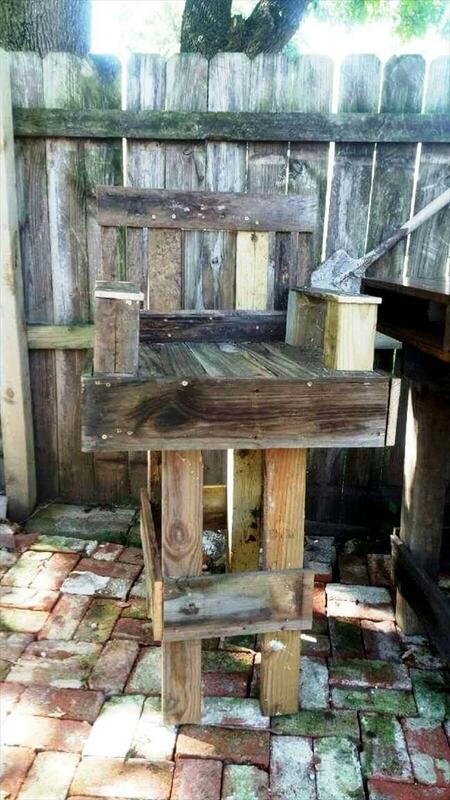 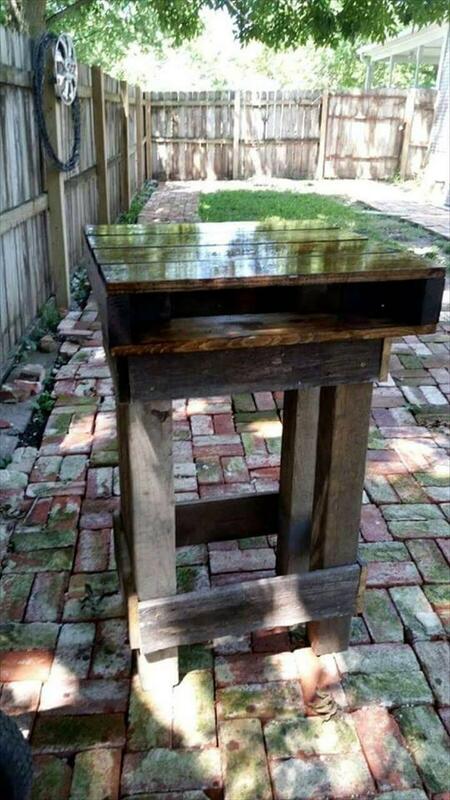 If your outdoors are lacking of some cool party sets and sitting furniture sets then time to get them for free, the recycling of old pallets will be all awesome solution for it! 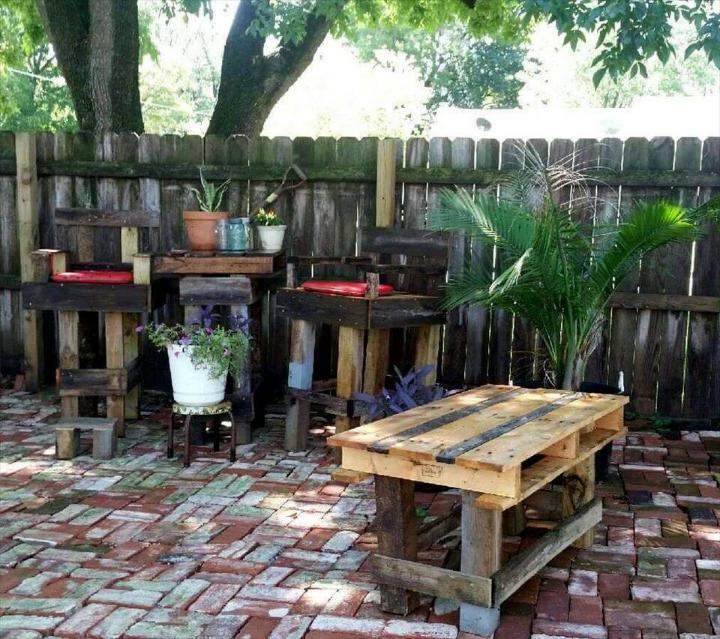 Get your outdoor party-friendly by owing this special DIY pallet outdoor bar and stools set, a little footstool and a mini bench has also been included in this set! 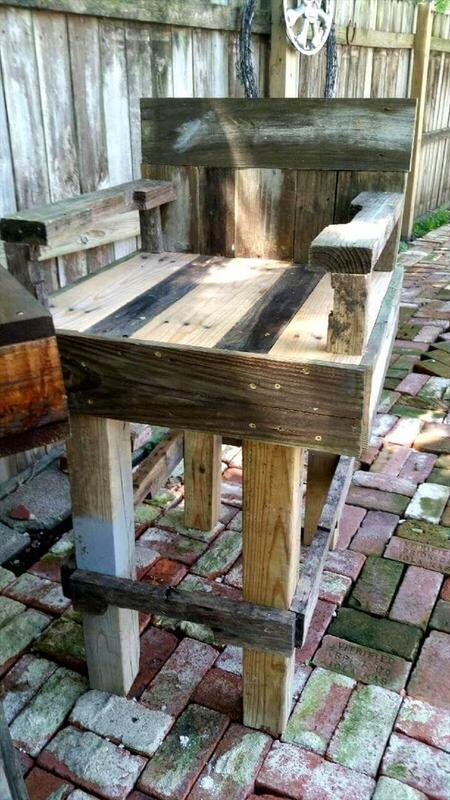 Construction is not complicated and is even friendly to persons who have never gone through carpentry ever! 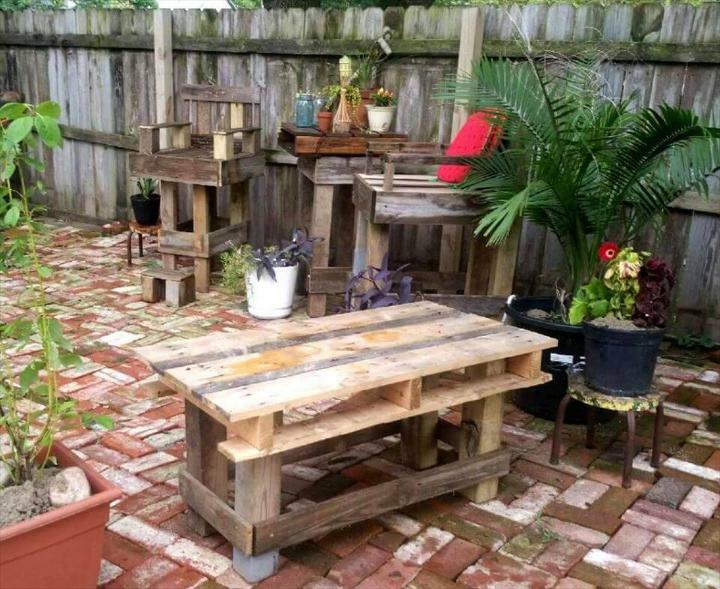 All you need to do to dismantle a little and rebuild the pallets to gain this no-cost pallet party set for your deck or renovated garden space! 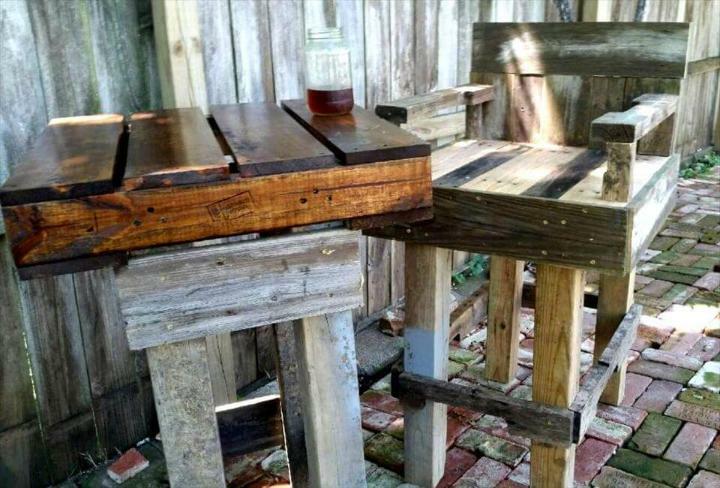 Bar chairs comes with a raised berths and backrest position and also provide footrests, a pallet has been elevated on custom legs for a mini bench and pallet leftovers have been regained as a mini footstool, all is pretty simple and quick to do! 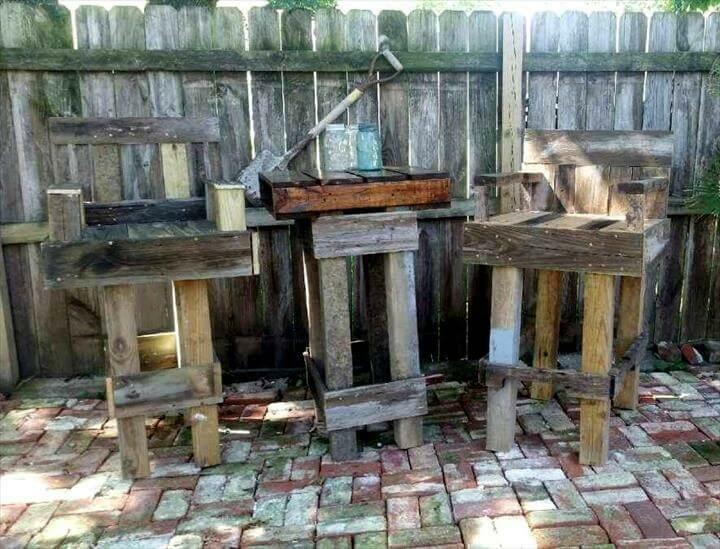 Here this entire party set has been recovered from 4×4’ retired pallet skids!